According to David Kappos, Director of the Patent and Trademark Office, we can expect regional patent offices shortly. He made this announcement at the AIPLA meeting in Washington DC in October. There are a number of advantages to regional patent offices. The USPTO is located in Arlington Virginia, next to Washington D.C., where the cost of living is expensive and the 9000 government employees have little significance to the state of Virginia. By having USPTO west in Denver, Portland, Seattle, Austin, Minneapolis, etc. or some combination thereof, examiner retention rates are likely to significantly increase, since the cost of living is lower. The pool of qualified, English speaking applicants for patent examiners would increase, since the USPTO has admitted they have a hard time keeping examiners who are not from the northeast. The USPTO mission is about promoting technology and it makes sense that the USPTO should be located near the centers of technology, not the center of political power. By having the USPTO near great centers of innovation, examiners are more likely to have a better understanding of the underlying technologies they examine. Locating the USPTO in multiple congressional districts increases the likelihood it will remain fully funded. I hope that these regional patent office are fully functioning patent office the with appeal boards and all the art units. 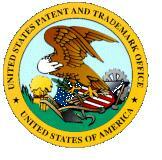 I think this will eliminate the group think that we have seen at patent office in recent years. That sounds like good news. Just out of curiosity, what is the typical education of a patent examiner? All patent examiners have a hard science under graduate degree. In the biotechnology are many have Ph.Ds. Some also have law degrees.